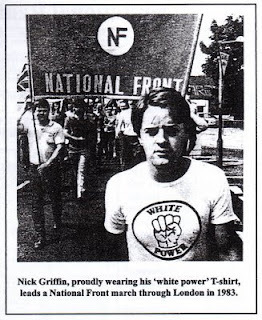 You know, sometimes I think the BNP's Nick Griffin is in danger of forgetting his roots in the romper-stomper 'Political Soldier' wing of British Nazism. Then I think, "no, of course he isn't - he just wants us to forget". So, let us be a little inconvenient and a little bit awkward, and recall the roots of the British National Party and its current leadership. Let's start with the first leader of the modern British National Party (1982 - ? ), John Tyndall. He had always been a Nazi, and a rather old-fashioned kind at that. Mein Kampf, as he famously said, was his bible. From the League of Empire Loyalists to the first incarnation of the British National Party (1960-1967) to the National Socialist Movement and then the Great Britain Movement, he was always rather fond of the 1930s style steet militia clobber. You can see him in his fancy-dress here (on the left) - you'll also notice that there are some rather unusual decorations in the abode in which he so gaily larks. He was also unabashed in his appetite for Nazi policies. For example, in a 1965 article for Spearhead magazine, named after his paramilitary organisation, Tyndall explained that: "with the numbers of murderous asocials and perverts on the increase, as a result of our sick society, there will be an unanswerable case when the day for the great clean-up comes, to implement the final solution against these sub-human elements by means of the gas chambers". Holocaust-approval, not Holocaust-denial, was the trend in those days. Tyndall's magazine was also conventionally Nazi in its opinion of who the enemy was: "So that the claws of Jewry may be prised off, it is vital that every man in the street becomes Jew-wise. And the first step towards Jew-wisdom is Jew-consciousness . . . The Jews own Britain . . . Time and time again in recent history it has been shown that World Jewish Finance can make or break any established politician or financial enterprise in Britain". This isn't to say Tyndall didn't know how to dissimulate. 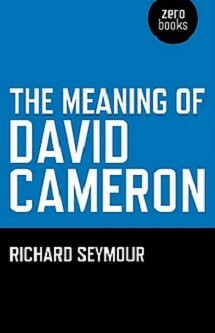 His 1962 book, The Authoritarian State, was by the standards of his previous outbursts a far more controlled polemic, and he learned in this period to find euphemisms and to craft his Spearhead pieces in a vaguely 'academic' manner, delegating the more explicit ranting to a columnist with the pseudonym 'Julius' - this was Martin Webster, the future leader of the National Front. Tyndall was still a Nazi when he joined the National Front in 1967, leading the members of his Great Britain Movement into the organisation. The Front was the result of a merger between the League of Empire Loyalists and the old British National Party. The LEL component was already disintegrating. It had been more of a fascist club than a political party, focused on persuading elite opinion. The merger with the BNP provided some experience with organising on the ground and in working class areas. Both Tyndall and Webster were to become leading figures in the new organisations. They had learned throughout the 1960s that you couldn't use explicitly Nazi language and get popular support in Britain, and that racism against migrants from the Commonwealth was more likely to gain support than antisemitism. So, they reinvented their style of address accordingly and successfully took over the new party. The Tyndall-Webster leadership did not advertise their neo-Nazi background, and the party presented itself as just another right-wing nationalist organisation. At the same time, the party's Honour Guard was used to attack antifascists, leftists, students whom the party didn't like the look of and, most importantly for them, black people. They pursued a murderous race war. Its activities were complemented by the explicitly Hitlerite British Movement, which had developed a following among football hooligans, and was handy with the ultra-violence. Predictably, of course, even as this was taking place, the NF were at pains to claim that they were victims of left-wing violence, and tried to prove, without success, that the publications of the IS (pre-SWP) and IMG (Tariq Ali's old haunt) were inciting physical attacks on the fascists. If anything, small groups of left-wing activists didn't stand a chance in physically duking it out with the NF's thugs, and the NF knew this. Tyndall boasted that while the police pretended to keep apart the Left and the NF, his version was that "the police saved the Left-wing". The NF experienced a dramatic surge during the 1970s, thanks to the collapse of the postwar settlement and a surge of racism encouraged by mainstream politicians (including Labour politicians). By 1973, the formerly tiny organisation made a breakthrough of sorts by coming third in the West Bromwich bye-election. By 1974, the party was defeating Tories and Labour politicians in local elections. The weakness of the Heath government discredited it in the view of many right-wing Conservatives, some of whom broke away to join far right groups. But it was precisely at this point that revelations about Tyndall and Webster's Nazi proclivities appeared in an ITV documentary, and it caused immediate problems with that layer of members who had joined the organisation without understanding the ideology of its leadership. It also gave the party's ex-Tories and 'modernisers' the chance to change the leadership. Tyndall was later booed and jeered as a 'Nazi' when he attempted to make a speech at the party's annual conference. He was replaced as party chairman by the former Conservative John Stuart Read, and the new leadership was able to marginalise the Tyndallites for a time. But Tyndall had plenty of experience of organising within fascist sects, and he knew that if he maintained control of propaganda and kept a secure base, he could relaunch his leadership when the time was right. His ally, Richard Verral, took control of the party's journal, Spearhead, and used it to denounce those in NF who supported a nominal commitment to parliamentary democracy as purveyors of leftist propaganda. Eventally, Tyndall managed to reclaim leadership. The votes continued to rise. By 1977, the NF had 200,000 votes nationally, and had 19% of the vote in Hackney South and Bethnal Green. It was in this period that the fifteen year old Nicholas Griffin was first taken to National Front meetings by his father Edgar Griffin. By 1978, Griffin had become a local party secretary. He aligned with the more explicitly neo-Nazi 'Political Soldier' wing of the National Front, against the conservative 'Flag' group. The role of antifascists in the NF's decline in the late 1970s, particularly in the Anti-Nazi League, is predictably a matter of sharp divisions in the historiography, and I don't propose to labour over them here. (See the reviews of David Renton's book, When We Touched the Sky, for a sense of this). 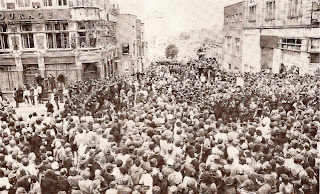 The matter is obviously complicated by feelings toward the SWP, which took the initiative in founding the organisation in 1977 following the 'Battle of Lewisham' (pictured, the confrontation at Clifton Rise) in which antifascist activists and local black communities physically confronted an NF march, and stopped it from proceeding through the area. But whatever else people think of the ANL, it was able to unite broad groups of antifascists, including the Labour left and trade unionists. It was undeniably a mass social movement. It not only mobilised large numbers of people, but it also gave confidence to many who might have been scared of the Nazis, and helped resist some of the right-ward shift in British politics on issues of 'race' and immigration. Martin Webster certainly blamed the ANL for the NF's collapse, believing that they had been unstoppable until 1977. And personally, I am not convinced by arguments that say Thatcher stole the racist thunder of the far right by articulating her own anti-immigrant arguments. First of all, it carries the implication that Tory racism is an effective anti-fascist strategy. Secondly, and as a consequence, it overlooks the fact that the far right have done best when the mainstream parties have validated their arguments, whether today or in the years after Enoch Powell's 'rivers of blood' speech. At any rate, having invested so much in the 1979 elections, standing in 303 seats, the National Front lost all their deposits and almost went bankrupt. They started to look for the root of their failure in the commie school system. 'Red' teachers, it was decided, were indoctrinating the young with marxist poison. And so, they used their youth publication to encourage students to report teachers, who would then receive a visit from a couple of boys in bomber jackets and DMs. One teacher, Stephen Harrowell, was targeted for a NF campaign just for teaching a history lecture about the Soviet Union. Others were beaten or had petrol poured through their letter box. But that campaign was a failure, as was almost everything else the NF did in that period. When I was growing up in the early 1980s, one still heard of the NF and there was still an ominous aura about them. Their associations with Ulster loyalism meant that their logo was daubed on the brick walls and buildings in Northern Ireland, alongside the usual charming array of death threats and community notices. By the 1990s, though, the NF were a groupuscule and had been overtaken by a new party, the modern BNP. The modern BNP was the result of a merger between a split from the NF in 1980, led by John Tyndall and the British Movement. They formed the New National Front, and then in 1982, the British National Party. Old hands like Andrew Brons and Martin Webster remained in the NF to plot and wrangle with different factions, and it is partly the decision by Brons to side with the 'Strasserists' against Webster that led to the latter being forced out of the party for good. 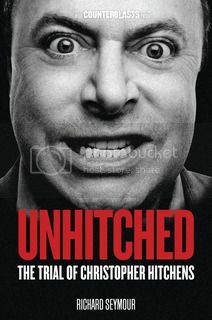 Nick Griffin remained in the NF, still a 'Political Soldier' advocating a 'revolutionary' strategy. When Andrew Brons was deposed from his leadership role in 1984, Griffin alongside Patrick Harrington and Derek Holland, also of the 'Political Soldier' faction, rose to dominance. But in the late 1980s, they broke off to join with the far right Italian terror suspect Roberto Fiore in his 'International Third Position'. (Fiore is one of those held responsible for the Bologna train station bombing in 1980, itself reportedly part of NATO's 'Operation Gladio', involving the use of far right activists in stay-behind armies to help resist leftist insurgency). It was while he was in the leadership of the ITP in 1990 that he lost his left eye, supposedly when a shotgun cartridge exploded in his face, which is why he has the glass eye. The BNP was to continue the tradition of dissembling in public while maintaining Nazi organising principles. Even so, the BNP was still publicly committed to a 'revolutionary' anti-liberal stance. This much Tyndall insisted on. 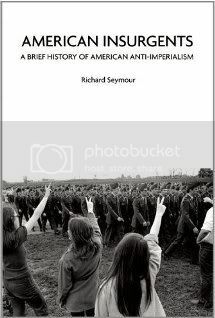 His own books discerned liberalism as the main source of decadence which had undermined the educated elite's resistance to communism and those racial Others supposedly behind both communism and finance-capital. The BNP's 1987 manifesto pledged the suppression of rival parties, since: "The old system of party warfare must come to an end, and political forces within the nation must be coordmated together in a mighty effort of national reconstruction". And it still railed against the "self-perpetuating oligarchies" of "International Finance" who supposedly pulled the politicians' strings - although at this point, they declined to mention that these "oligarchies" were, according to them, Jewish. Feeble subterfuge, but no more feeble than their current pretence that their racist incitements against Muslims is purely a critique of religion (an alibi that would probably not have worked in court were it not for the credibility given it by mainstream publications). But once again, the Nazis learned to adapt their language to tap into more popular forms of racism. From the early 1990s, the BNP's antisemitism was being rearticulated as racism toward Asians in the East End of London. At the same time, the BNP had formed a new militia organisation called Combat-18, (the 1 and the 8 standing for Adolf Hitler's initials), whose street activities were run by a violent former British Movement member named Charlie Sargent. The organisation was responsible for bloody assaults on the BNP's opponents, including one particularly notorious attack on ANL leafleters in Tower Hamlets in 1992. Combining an attempt to control the streets, as it were, with a strategy that exploited the racialisation of housing allocation that both Liberal Democrats and Labour councillors had engaged in, they managed to increase their support sufficiently to get Derek Beackon elected as a councillor in Tower Hamlets in 1993. This success led to the BNP making its first efforts to separate itself from C-18, in a bid for respectability. They opened new 'bookshop' (headquarters) in Welling, which was followed by a 300% rise in racist violence in the area. One of the victims of this surge of violence was, famously, Stephen Lawrence, who was murdered by five racists whom the police did little to pursue. The ANL had been relaunched in 1992 and, working with other groups, sought throw the fascists back into utter isolation. Local leafleting campaigns took off to ensure that Beackon would not be re-elected: he had won a bye-election with a majority of only 7 votes. In the full elections, shortly after, he lost the seat. A 50,000 strong protest outside the BNP's headquarters was battered by riot police (the infamous Territorial Support Group responsible for the death of Ian Tomlinson), and vilified on the BBC. But it was one of many mobilisations to exert a salutary effect on the BNP's morale. It wasn't until a combination of racist violence in Burnley, encouraged and exploited by the fascists, and a make-over after 1999, that the party were to recover. One other welcome result of the antifascist campaigns at the time was to hammer the Liberal Democrats after their nakedly racist campaign implying that white voters were suffering from 'special treatment' given to Bangladeshi communities by the Labour Party. It was at this time that John Tyndall, perhaps looking for a few influential 'Nazi radicals' to bolster his position in the party, invited Nick Griffin to join the BNP. Griffin had been attending BNP meetings for some years, and had urged the party to see that the voters who backed the BNP in Millwall and elsewhere didn't want a 'postmodern Rightist party' on the continental model, but a militant organisation that could defend the slogan 'Rights for Whites' with "well-directed boots and punches" . 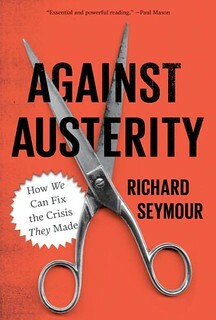 Against any electoralist strategy, he argued that it was more important to control the streets than the council chamber, and that power was a product of force and will, not rational debate. He finally joined the party in 1995. In 1998, having defended the 'Political Soldier' line for years, Griffin abruptly switched sides. 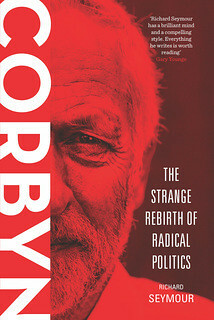 He aligned with Tony Lecomber's 'modernising' wing of the party. In 1999, he challenged for the leadership, and won. This 'modernising' didn't mean abandoning Nazi sympathies. (Lecomber has been known let the mask slip from time to time, as when he unwittingly told a reporter in 2004: "Do you remember Cabaret with Liza Minnelli, the part where, one by one, the Hitler Youth, our fellas, stand up and start saluting and singing? That is right stirring that is, gets the blood up every time.") The issue was how to represent oneself to the public. As Nick Griffin later explained: "As long as our own cadres understand the full implications of our struggle, then there is no need for us to do anything to give the public cause for concern ... we must at all times present them with an image of moderate reasonableness". For the duration of Tyndall's leadership, the BNP had been contemptuous of any propaganda tactics that would compromise its hostility to liberalism. Moreover, as Griffin and Lecomber complained, Tyndall's fondness for posing in Nazi uniforms had proven a severe "handicap" for the party. 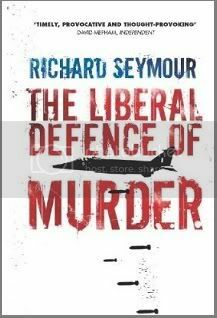 The media-friendly strategy that Griffin adopted was in fact to adopt the keywords of liberalism in many ways. Watch this clip from Panorama, where Griffin explains to KKK members what his present orientation involves. He basically instructs them on how to repackage fascist arguments in saleable terms, using liberal catchphrases. The infamous leaflets the BNP have distributed attacking Islam assert, among other things, that the religion is 'intolerant' and promotes the 'molestation of women'. (Other leaflets blame Muslims for the heroin trade). The BNP have posed as defenders of free speech and civil liberties, utilising the racist fiction that Muslims are enemies of traditional 'British liberties'. After the recent election results, Nick Griffin could be heard explaining that Islam was a menace to womens' rights. The organisation that spent the 1980s promising to crush feminism was now pretending to be its champion and spokesperson. In the same way, while Griffin had responded to the nail bombing of a gay pub in Soho by engaging a depraved attack on gays for "flaunting their perversion". Of late, the BNP has attempted to tamp down its explicit homophobia. And as for the Nick Griffin who declared the Holocaust the 'Holo-hoax' and accused Jews of controlling the media in 1998? Now he's dissing antisemitic conspiracy theories as if he had never written what he had written and said what he had said. The BNP, absurdly, even has a Jewish councillor, although this didn't stop the party from fielding a candidate in this year's elections who maintained that the Holocaust had been a positive process that resulted in the benefits of dentistry and plastic surgery. The BNP has also learned to imitate the tactics of the Liberal Democrats, tapping local grievances and espousing a 'community' based politics. Take as an example their breakthrough in Burnley, where they acquired their first representation since 1993, following terrifying race riots. The local Labour bureaucracy was profoundly complacent about the events and the upsurge in fascist activity at the time, downplaying any suggestion that racism was a local issue. The trouble was that, as John Rhodes has argued, the riots that took place were the result of long-term processes in which the growing contempt of locals for the Labour party combined with the racialisation of local politics by 'Independent' political forces in the area. The running down and neglect of these council estates had already produced youth riots, and clashes with the police in the early 1990s, which were just reflexively condemned by politicians and press. From the mid-1990s onward, Labour's vote collapsed locally. The party's endorsement of neoliberal policies meant that in practise it supported the accelerating destruction of the local manufacturing industry with low-wage jobs in the service economy replacing it. The growth in poverty that resulted meant that a quarter of the town’s population lived in areas deemed to be within the 10 per cent most deprived in the country. Between 1996 and 2003, the proportion of votes going to Labour fell from 61% to 30%. And the turnout was miserably low, so that in fact only 12% of potential voters actually backed Labour. In the same period, due the weakness of mainstream opposition parties (who would vote Tory or Lib Dem? ), the local Independents started to benefit from increased support. And they had begun to attack Labour from the right, accusing it of 'positive discrimination' in favour of Asian communities. Shamefully, some of these accusations came from former Labour members on the council, while the Lib Dems, Tories and the local paper, the Burnley Express, was all to happy to repeat these claims. Further, it turned out that Labour councillors - far from lavishing undue attention on Asian residents - had been promoting a de facto segregation in housing to keep Asian residents out of their wards. It was in the most 'segregated' wards, with the highest number of white residents and the lowest number of Asian residents, that the BNP later got councillors elected. On top of that, because local councillors tended to act as lobbyists for their particular ward, the distribution of resources acquired 'racial' dimensions which the BNP could exploit. They did this by knowing the wards, finding out the racist beefs that most exercised residents, what was supposedly done for Stoneyholme and Daneshouse but not elsewhere, and so on. The established parties and the Independents had pulled local politics to the right, racialised issues of funding and investment, and softened the terrain for the fascists. Once more, though, this is not a simple story of the BNP picking up Old Labour votes. In truth, while many local Labour voters, out of sheer despair and stupidity, backed the BNP, proportionally more Tory voters rallied to the BNP. And since 2004, the main beneficiary of opposition to New Labour combined with anti-BNP feeling has been the local Liberal Democrats. A pretty miserable state of affairs, it has to be admitted, but better than allowing the BNP to run the council. Importantly, part of the BNP's new strategy has also involved making far more effective in their use of the internet than their opponents. This is not a novelty introduced by Griffin. Nigel Copsey's informative discussion of this question points out that the Nazis were extolling the virtues of the internet since 1995 as it was 'the most significant development for politics since the invention of the television'. They understood fully the potential for reaching out beyond their marginal enclaves, and the focus paid off. BNP voters read the party's website and rely on it for news more than voters for any other organisation - according to this research, while only 4% of Tory and Labour voters use their party's website as the main source of news, 12% of BNP voters do. This is a comparatively sophisticated operation. The website contains reams and reams of regularly updated 'news' articles, racist polemics, misleading statistics, inventive but ultimately bizarre Youtube videos, and of course glowing photographs of the BNP higher-ups cuddling old ladies and things. And so here we are. Despite the splits in the BNP throughout the decade (which the adept factionalist Griffin is surely used to), despite the leaks and the divisions and PR blunder, the generation of Nazis that had seen the NF almost decisively break through in the 1970s, and fail, has managed its comeback. The two BNP MEPs are both 0f that era. In fact, Andrew Brons was a member of the National Socialist Movement when it was launched by Tyndall, so his Nazi roots go back even further than those of his boss. If Tyndall had not bitten the dust in 2005, he would now be part of the same leadership, further underlining the continuity. The BNP's current strategy involves elaborate dissimulation about those fascistic dispositions, with careful restrictions on what party members may say in public, and labyrinthine procedures for getting to internal meetings. Matthew Collins, a former BNP member who left the organisation, has revealed how this works. He asserts that while the BNP has publicly abandoned its commitment to forced repatriation new goal is to effect ethnic cleansing by introducing a system of apartheid that would, through increasing harrassment and pressure, force the non-white population to leave Britain. This is what is meant by 'voluntary repatriation'. It would be a system of authoritarian terror that would, of necesssity, have to wipe out all democratic institutions and political opponents to achieve such ends. Who can say that Tyndall's dream of gas chamber eugenics might not become an important technology in such a process?